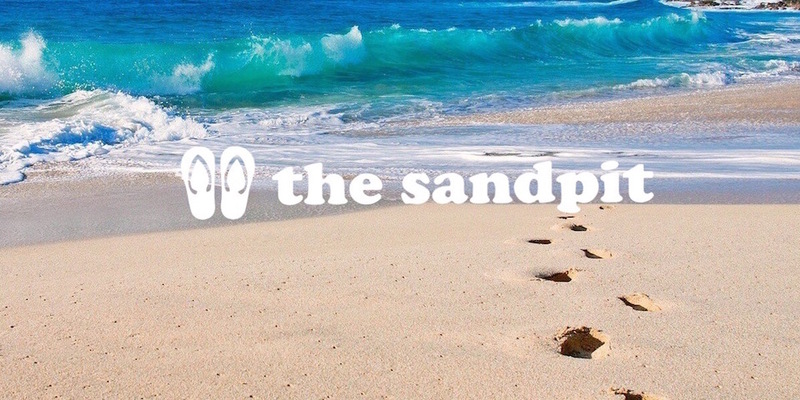 This post was written by Simon Campbell, Founder & CEO of The Sandpit. It was originally posted on Medium. Last month I wrote a piece on the concept of a ‘Business Builder’. Since then a few people have asked me why the model is focused on the B2B digital marketing vertical, so thought I would explain my reasons. The Sandpit business builder model could work in almost any vertical, provided that the portfolio companies selected are capable of generating monthly recurring (license) revenue (MRR), which in most cases will point to a B2B offering. I believe, and the past few years of evolution of the operating model for The Sandpit has proven, that vertical focus is really important. This is (or should be) relevant also for accelerators and investment funds; the more (sector/vertical) focus you have, the more value you can provide to portfolio companies via your knowledge, experience and contacts. The decision to focus on B2B and specifically marketing technology (MarTech or MadTech as some would have you say) was for a few reasons. Firstly, marketing technology products are normally SaaS (Software as a Service). This means that they typically roll on a monthly or annual licensing cycle therefore, a monthly or annual billing cycle. This continual source of revenue is favourable for a number of reasons. It locks in future revenue streams, which adds to the overall value of a business for potential investors. It also ensures that startups are not locked into traditional funding cycles and allows them to flex resources as and when needed. Finally, it improves cash flow management. It enables businesses to build robust financial forecasts, allowing them to plan ahead. With 29% of startups failing due to a lack of funds (according to CBI insights), there is real (and literal) value in having this continual source of revenue. There is also a healthy market for M&A (mergers and acquisitions) encompassing everything from “aquihires” (where a business is bought predominantly for the team) to large acquisitions of £1bn+. The buyers range from the traditional tech giants of Oracle, Salesforce, IBM, Google and Microsoft to the newer cash-rich “start-ups” such as Facebook, Twitter and Snapchat and of course the agency groups of WPP, Omnicom, Publicis and the like. In fact, specialist M&A advisor Results International revealed that the first quarter of 2016 was the joint third-highest for adtech/martech deal activity on record, with such transactions amounting to $2.4bn during the period. Our interest in the MarTech scene is because it’s what we know. It’s the experience and knowledge of the market that both I and the rest of the team have and goes back to the idea of being able to scale the model of Angel investment (I touched upon this in my previous post-Business Builder: An alternative to an accelerator for startups). Angel investors are people who, besides money, can provide domain expertise, have good contacts in the sector and had a decent amount of time to sit with the founder and help them execute the plan. The problem is that most Angel investors support a number of projects or even their own full-time job, so their time is spread thin. By focusing on a single vertical, when we engage with a startup and parachute in sales and marketing functions, we are quickly able to establish and add value. As our sales and marketing functions are always at the forefront in delivering campaigns themselves, they are continuously at the forefront of developments in the market — this saves a huge amount of early-stage startups where resources are limited. When I talk about MadTech, people often think only of advertising technology (AdTech). This is far from the truth. Marketing technologies cover any technology that the marketing team of a large corporation might use, from data analysis, content and social media, website monitoring and analytics, search, market research technology, and yes also AdTech! Previously, AdTech was known for not really solving a problem, they enhanced a model that was pretty much broken. The way that people now consume content is different, their tolerance for advertising is reduced but they are open to a value exchange. We all want to be marketed to, but only things that are relevant to us and only at the appropriate time and place. Most of the AdTech businesses that hovered up VC money in recent times provided a way for advertisers to spend their money, normally on mobile, more efficiently with some clever tricks, but without really changing the model or format to address the change in landscape and consumer behaviour and expectations. Last time I looked, MediaCom, Starcom MediaVest and the other big agencies were still spending billions of their client’s money on advertising, so surely the opportunity to create technology businesses of significant value still exists, provided they look to address the problem not adapt an old solution? Publishers want solutions. Brands and agencies want solutions. Why do investors not want to back those solutions? iadbox is an engagement platform for mobile publishers. Any publisher with a mobile app or mobile website can embed iadbox and create an inbox environment where they can engage with users, profile them and then provide relevant content that is of value to the user. This can be in the form of videos or stories, competitions, questions or games. It can also serve commercial messages, relevant to the user that they can choose to click on or not. If they do, the advertiser is willing to pay a premium for that engagement. I guess that is AdTech, or is it just a logical way of providing a value exchange by personalisation, and one in which the user is in total control. The stats would back this up; Marca Radio app in Spain is achieving over 30% engagement with iadbox. A Million Ads is the most recent company to pass through our Proof of Concept stage and enter The Sandpit as a portfolio company. Steve Dunlop, the co-founder, used to work as head of strategy for Global Radio. He has built a platform that enables personalisation of digital audio ads so that the adverts you listen to can tailored to where you are, who you are, the time of day, the weather outside and what you are listening to! Listen out and you will soon hear personalised ads on your favourite music streaming platforms…and they will be delivered by A Million Ads. Enough promoting, but this is to prove a point as both of these could be classified as adtech (A Million Ads certainly is) but both are solving a problem for the platforms and the advertisers whilst enhancing the user experience. So, those are some of my reasons for The Sandpit focusing on B2B MarTech. Maybe in years to come you will see our model crop up in other verticals too. I hope so because it works.